Gold plated necklace. Etched coin pendant. Lobster clasp closure. Measures approx 19" in lengthPendant measures approx 0.75" H. Imported. WANR-WL172. W N804G. 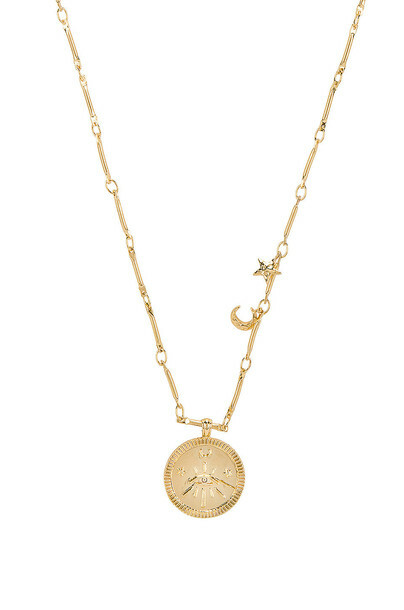 Wanderlust + Co is a jewelry label for dreamers and lovers. With trends quickly translated from drawing board to finished product, discover fresh concepts and styles weekly.